Super, clean comfortable cottage surrounded by natural gardens. A short walk to a variety of local shops, and restaurants. Wonderful bush walk just along the road. All the facilities of Tambourine mountain a short drive away. Thoroughly recommend this property. 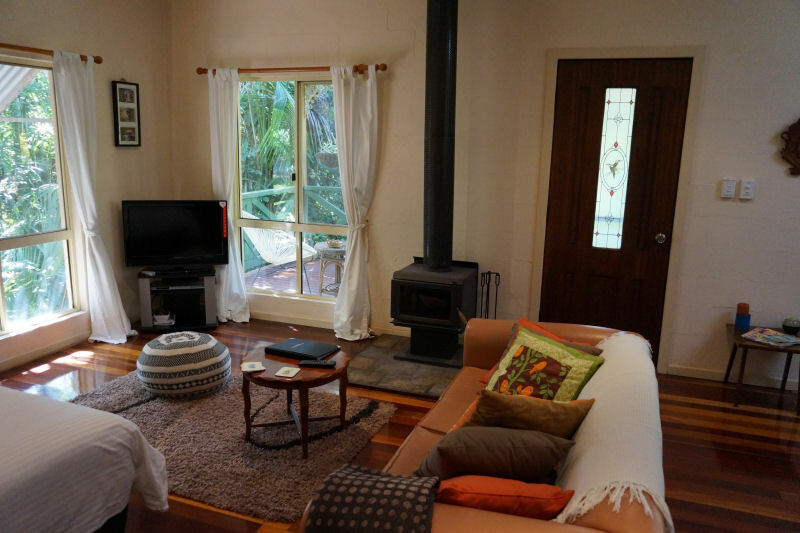 The Kookaburra Cottage is nestled in the middle of the property and surrounded by the Kidd Street gardens. Sit back and relax on the verandah, listen to the bird life and enjoy a bottle of Witches Falls Syrah and a triple brie cheese from the Witches Chase Cheese Factory. Inside, enjoy a large studio cottage with wood burner for the cooler nights, queen size bed, flat screen TV and fully equipped kitchenette. As a gift to someone you love the Kookaburra Cottage is the ultimate choice for honeymooners, romantic weekends or for that special occasion together.